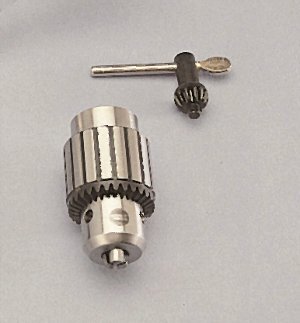 This high-quality geared drill chuck is designed to work with your Mark 7 / Mark V... or any drill press with a 5/8" quill shaft. Easily accepts and grasps any size drill bit between .020" and 1/2". but it's not a lot of good if you have lost your original key. Buy one of these and have a spare in the tool box ! !